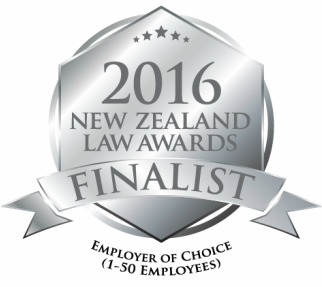 We're one of the largest specialist family litigators in New Zealand. Get in touch and see what we can do to help you. Civil Legal Aid - help is coming New Zealand! At the end of May there was an interview on RNZ between Kathryn Ryan and Dr Bridget Toy-Cronin, Director of Otago University's Legal Issues Centre. You can listen to this interview here. Dr Toy-Cronin has raised concerns, identified through research, about the delivery of legal aid - particularly that available for civil cases. What does this all mean? You will probably best understand what a civil matter is by the laws involved: Employment Relations Act and Accident Compensation Act are two that are very common. Also included are some matters involving tenancy disputes, human rights, social security... the full list is available on the Ministry of Justice website. We want to reassure New Zealand that while this is a difficult situation, there are those within the legal profession who are doing something about it. Ebborn Law has spent the past 18 months planning on how to deliver top-quality civil legal services to both privately-paying and legal aid subsidised clients. We launched this new service on 1 July 2018. The question that was left unanswered in the interview was "why are many law firms not providing this service?". The answer, according to Ebborn Law CEO Jarrod Coburn, is due to the structure of the law profession leading to a lack of good governance and empowered management. For some time now (decades in fact) it has been good practice for businesses to operate a 'governance-operational split'. This is where the owners or their agents (directors) set the big-picture vision and the manager (CEO, general manager, kaiwhakahaere) is given operational freedom to achieve that vision. Many companies have a diverse range of directors but law firms are restricted and only lawyers who are working in that particular company may be directors (this also stands for partnership models). This not only reduces the experience, culture and risk appetite of the board, it also makes it hard for law firms to attract top-of-the-range management. Few professional managers working at the executive level want to work in an organisation where the owners are working alongside them. It appears in many cases (in the law profession) that few directors or partners feel comfortable completely handing over the operation of firm to a CEO. In fact, many law firms don't have a CEO, they have a 'practice manager', often someone who has worked their way up through administration and office management to the position. This article might be seen as a harsh indictment of the profession, but if this is what it takes to start a discussion about the problems then so be it, because this is what is at the heart of the problems we are seeing with legal aid. As Dr Toy-Cronin implied, many firms cannot handle the administration and cannot turn a profit from what is being paid by the government for legal aid work. Ebborn Law has managed to grow to be New Zealand's largest provider of family legal aid by adopting efficient systems. The reason law firms charge such a high amount of money is because for the most part they utilise staff inefficiently. This wastage is amplified when the systems law firms use are taken into account. Many business people would be shocked to know how many lawyers keep paper files and back them up to computer, rather than using digital systems in the first place. Lawyers are still printing and filing emails in 2018! In Jarrod Coburn's opinion this is the result of a lack of strong management and good business processes. Consumer attitudes are changing. They are demanding better stewardship of the environment; more ethical treatment of staff; improved customer service, but most of all; they are demanding value for money. At the heart of every good system is good management. Good management needs the freedom to operate without interference. The way the practice of law is structured is holding back the sector. A conversation needs to start happening, focusing on how the law can be changed to allow good business practice to complement a strong legal profession. Jarrod Coburn is a commentator on management and law and was a speaker at the 2018 Future Firm Forum on the subject. Ma whero ma pango ka oti ai te mahi. Our website contains all the information presented to social service and community providers during the 2016-18 workshop series. This has been made available through the support of NZ Law Foundation funding. This information is written by lawyers where the matter directly relates to law or by non-lawyer experts where not. The information is released under a creative commons license, so feel free to use it where you like, however it would be appreciated if you could attribute the source to Ebborn Law Limited. Erin Ebborn (top left) with the students of Canterbury University's LAWS344: Gender and the Law class. Ebborn Law's principal lawyer, Erin Ebborn, recently participated on a panel discussion entitled "Women in the legal profession", as part of UC's Gender and the Law class. The course provides an introduction to feminist legal theory and areas of law that raise gender issues. The panel included Dean of Law Ursula Cheer, Amanda Wallace from Wynn Williams and Her Honour Chief Judge Christina Inglis. Ebborn Law has been a leader in the profession, being an early signatory to the United Nations Women's Empowerment Principles. Over the life of the firm there has been a conscious effort to build a positive, inclusive culture. Erin Ebborn says that, being primarily a family law specialist, a majority of her lawyers have been female. "For some reason it's hard to attract males to the practise of family law," she says, "Yet there are some excellent male family lawyers out there... I'm not sure where our future lawyers are forming their gender perceptions and I think it's important some thought goes into that. It's a real shame." A concern Erin shares with many of her peers is the time it has taken the profession to start speaking publicly about the gender issues inherent in the sector. "Although over the past five years there has been a conscious effort by the New Zealand Law Society to address issues of equality and wellbeing, something I think the media has not given enough credit to in light of recent events." "Change always takes time, sometimes it's generational, and we cannot expect attitudes to re-align immediately," says Erin. "However the profession has been put on notice: not only is there a growing move for change at the top, but up-and-coming lawyers and students are becoming more empowered. I strongly advise employers to pay close attention to the current discourse!" One positive action law firms can take immediately is to commit to the Law Society's Gender Equality Charter. The Charter is a set of commitments aimed at improving the retention and advancement of women lawyers. Charter signatories are asked to meet these commitments over a two-year period and report on progress to the Law Society. 'Push back' by senior partners and directors of law firms, reluctant to sign-up, is to be expected as the issues underlying the Charter are hurtful and raw, and nobody in the profession wants to believe that a Charter is necessary to ensure such basic human rights as equality and freedom from exploitation or sexual abuse. Thus, we are on a journey to create a better profession for all - there is not an instant fix. But change must start somewhere, and signing the Gender Equality Charter is a fantastic way to begin! The NZLS Gender Equality Guidelines can be found here. A national organisation has been launched with the aim of helping law firms who look after legal aid clients improve their efficiency and business operations. Legal Aid Providers Aotearoa (LAPA) is the brainchild of Christchurch family lawyer Erin Ebborn, of Ebborn Law, and her CEO Jarrod Coburn. The cooperative, which will consist of law firms who provide significant levels of legal aid, aims to help members by sharing know-how and skills in areas such as business operations, technology and change management. "LAPA is the result of a good year's worth of thinking and planning," says Erin Ebborn, "We are very excited about the potential this organisation will have, particularly for the end-user of legal aid." The organisation has approached 136 law firms across the country that are representative of most urban and rural areas. The first event of LAPA was held in Christchurch on 1 July 2017. More information about LAPA can be found at www.legalaid.org.nz. On 1 September 2016 the Department of Corrections changed their policy about who can visit someone in prison. If there previously was a parenting order that provided for children to have contact with someone in prison then that contact could usually occur without an issue. The changes mean that anybody (child or adult) who wishes to have contact with someone in prison, must now be approved as a visitor. Contact includes phone contact, as well as written contact such as letters and cards. Ebborn Law and FairWay Resolution Services have worked together for three years, ensuring people entering the family justice system have the best chances to gain a fair outcome - be they in court or in a mediation setting. Mediation (sometimes called alternative dispute resolution) is an option in almost any dispute. For family matters people with low incomes can get free legal advice and free mediation. Call us or FairWay Resolution (0800) 77 44 20. Lawyers Tania Williams Blyth, Kiriana Tan and retired Family Court Judge, John Adams, scripted and produced a series of videos with funding from the New Zealand Law Foundation and supported by the University of Waikato's Te Piringa - Faculty of Law. Need Legal Help? Contact Us! Choose the form below that best suits your need. Use either the I need a lawyer! form or scroll down to the I just want to talk... form. Always Only when I have $$ Just texts Never! Please provide: full name, date of birth, and address if known. Please provide: the full name and date of birth of all children involved in the dispute. We're located at 13 Charles Street. Our Blenheim branch gives Marlborough access to eight more legal aid lawyer and should mitigate the problems the area has faced because of high demand. We've relocated to the central city. Remember we are now called Portia! We are in the BNZ Centre, opposite Ballantynes at 111 Cashel Street. Go up the lifts (next to the pharmacy) and find us on level 1. Our Timaru office is open and can be found under our new brand name: Portia. It's located at 3 Butler Street (close to the courthouse) and is open daily between 9 AM and 5 PM. For a number of years Ebborn Law has been disrupting the legal marketplace. We are known not only for a high quality of advocacy, but also for being innovative, adopting technology, sharing our knowledge with the wider profession and finding new ways to support our clients. Our approach is to be flexible to your needs and to do things that make life easier for our clients, so we have longer opening hours, we accept both private and legally-aided clients and offer a variety of products to help you with your legal matters - including fixed fees! Ebborn Law is the largest provider of family legal aid in the South Island. We also provide FLAS - the Family Legal Advice Service and offer a holistic approach to helping clients navigate the family justice system. With a combined 40 years as litigators, Erin Ebborn and Jay Lovely offer sound advice and excellent representation. Their team covers the full spectrum of family, criminal, ACC and employment law matters, as well as appeals, and we are a major provider of legal aid and FLAS services. Our team are active participants in the profession, variously holding positions on the executive board of the Family Law Section of NZLS, the Canterbury Family Court Association and the FLS committee of the Canterbury-Westland branch of the New Zealand Law Society. We are always looking to the future to see how we can lead the way in providing family law in New Zealand. We also like to be actively involved in community: buying from local suppliers where we can, providing an excellent workplace and supporting our clients to link to social service providers. You can engage with us from the comfort of your own home if you choose: we are VLaw enabled practitioners, and provide video linked services to any part of New Zealand (including Chatham Islands) and overseas. If you earn above the threshold or want advice on a legal matter not covered by legal aid or FLAS then a one-hour consultation will cost $279 (incl. GST). We will be happy to provide a no-obligation quote for any further work. Give our friendly staff a call on 339 2233 or email suppport@portia.law. If you live outside of Christchurch, you can call us on (0800) 339 223, 24 hrs a day, 7 days a week.